We’ve had a few weeks of inactivity on our YouTube channel whilst we prepared for Kitacon and the last GeekOut Bristol Meet… But now we’ve returned and we’ve got some new games to get recording and we’re starting our podcasts over on the platform! Read on to find out more about our upcoming schedule. You may have noticed the Stonekeep series slowed down for a while – But fear not, this will be back to normal, along with more series in the near future. Read on as Timlah lists the ongoing series he’s going to start running. Stonekeep, the game that started it all for me as a Dungeon Crawler fan. So it’s no real surprise that I’d start my YouTube channel with one of the games that was an early fond memory for me. I was so keen to see more people get to experience Stonekeep, that I didn’t even realise the amount of work behind a YouTube channel, let alone editing your own videos, scheduling and publishing the associated articles with them. However, we’re now past the holiday season, many of us are going back to our day jobs and here at GeekOut, we’re switching on the overdrive! Yes, I will be diving back into Stonekeep and doing 2 weekly let’s play episodes of the series once more… But this time, Stonekeep won’t be alone on YouTube. No, I don’t just mean one off episodes for articles either; I mean I’m going to work on making a new series or two for the channel to go along with it. I haven’t forgotten about it, don’t worry. I’ve actually gotten two episodes recorded as of time of writing, but I decided not to bring this series back until I had released this article. I expect to finish this series by mid to late February, as it’s one I’d started but then stopped releasing episodes of (foolishly). I love the game, I love Bullfrog games and you can expect to see Theme Hospital come to a close within the next two months. It’s time to pick up the Slack Tongue and cure many more patients. I am not sure if I will fully finish the whole game in the series. Only time will tell! If you’ve stuck around GeekOut for more than a couple of days, you might be aware that I’m hugely fond of the Square Enix masterpiece, Final Fantasy IX. 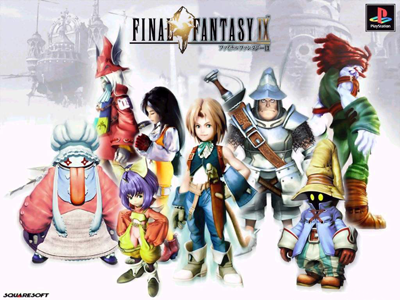 I’ve been looking at many ways to connect my PSP up to my PC and now that I’ve got a way of playing FFIX on my PC, it’s almost time to start recording it. I expect to start putting out FFIX LPs by the end of February – After I’ve finished my Gamely Giving streams. All four optional bosses, Quale, Tantarian, Hades and Ozma, will be defeated. Find many secrets and explain how to get them. Build a team using Zidane, Vivi, Steiner and Freya – An all-out aggressive team! I hope this series proves to be as entertaining as Stonekeep has been. This comes at a really opportune time too, as recently it was unveiled that there will be a Final Fantasy IX remake! Well then, let’s hope that is a good remake for what I feel is the best Final Fantasy game in the series. I’m looking forward to playing it natively on my PC, but in the mean time: Time to get this one going! A masterpiece of a game, involving more beauty shots of pig-men than any other game, Beyond Good & Evil set the bar when it came out for truly innovative storytelling. With the unique premise of being a reporter for Jade & Co’s Reporting, it’s up to you as Jade to take on aliens, military and more to find out what has been happening in your home world of Hillys. 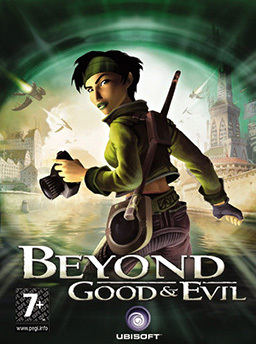 Featuring a brilliantly unique photography system where you uncover clues and earn money for your published images, Beyond Good & Evil didn’t work on many Windows PCs when it first came out. A lot of people encountered day one bugs with it, which stopped them from enjoying it. Recently however, I’ve been able to make the game work via WINE and now it’s time to show off this RPG Phenom… You’ll be left wondering why you haven’t played it before, or yearning to play it again. There are more series planned throughout the year, however these are the upcoming ones. I’ll also still do the occasional one-off video. What do you think so far? Are you happy we’re going to diversify a little bit with our Let’s Play series? Do you think there’s anything else I should play on the channel (bearing in mind my very underpowered machine)? What series are you happiest to see come to our channel? As always, your comments are much appreciated below, or over on Facebook and Twitter. Don’t forget to Subscribe, Like and Comment on the GeekOut YouTube channel and we’ll see you over there soon!